A service to honor the life of Crystal Marie Dowden-Magness will be at 10 a.m. Friday, Feb. 8 at Blanchard-St. Denis Funeral Home in Natchitoches with the Rev. Frankie Mathis and the Rev. Rickey Robertson officiating. Interment will follow at Booty Cemetery in Kisatchie. The family will receive friends from 5-9 p.m. Thursday, Feb. 7 at the funeral home. Crystal, 41, and a resident of Natchitoches passed away Sunday, Feb. 3, 2019. She was born Jan. 29, 1978, in Alexandria to Ronnie Dowden and Brenda Carter. She proudly served her country in the United States Air Force. A loving mother, daughter and wife, she had a love for life. In her free time, she loved to go to the gym; physical fitness was one of her many passions. Her love for nature and animals was like no other, she actively volunteered with the Hope for Paws as well as volunteer work with CASA. Her love for children extended well beyond just her own children. She is preceded in death by her paternal grandparents, Oscar and Lula Dowden; and maternal grandparents, David and Mina Carter. 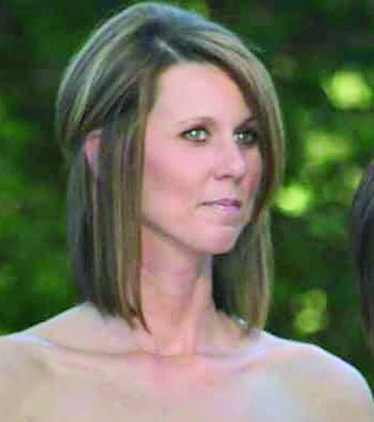 Those left to cherish her memory include her father, Ronnie Dowden; mother, Brenda Carter; husband, Erik Magness; and their children, Ethan, Cade and Ashley Magness; brother, Michael Dowden and wife Cortney; nieces and nephews, Hardy Dowden, Hayden Dowden, Drake Deutsch, Hyler Dowden, King Jones and Sage Dowden; uncles, Jim Dowden and wife Becky and Ronald Carter and wife Beth; as well as numerous cousins and friends. Those honored to serve as pallbearers include Tommy Rhodes, J.C. Townsend, Brian Cockrell, Brent Cockrell, Tristan Kitishian and Dylan Johnson. Honorary pallbearers will be Ronnie Smith, Ron Byles, Richard Rodgers, Scott Carter, James Dowden and John Dowden. In lieu of flowers, the family asks that donations be made to the CASA organization or Hope for Paws.